April 20, 2010. Graham Norton talks to Billie Piper, Shappi Khorsandi and Toni Collette, who promotes "United States of Tara". March 19, 2010. 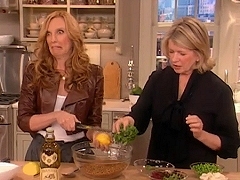 Martha Stewart and Toni Collette present a recipe for grilled arctic char and wheat berry salad. March 17, 2010. Toni Collette promotes the second season of "United States of Tara" in the United States. March 15, 2010.Toni Collette promotes the second season of "United States of Tara" in the United States. Toni Collette is interviewed on AOL's PopEater to promote the second season of United States of Tara. March 18, 2010. 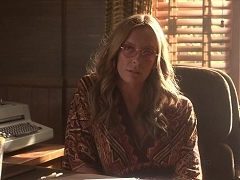 Toni Collette talks about the second season of "United States of Tara". March 18, 2010. Toni Collette promotes the release of the third season of United States of Tara. March 17, 2010. "United States of Tara" returns for its second season on Showtime Sunday, March 21, and star Toni Collette teases what to expect from her character - who struggles with multiple personalities.